It’s the holiday season and how better to celebrate that than with chocolate? Join us at Hershey Chocolate World where we’ll look back on our good times in 2017 and forward to exciting plans for 2018! You'll meet training and development professionals across Central PA and also connect with our new board members for 2018. We’ll have good food, drinks, chocolate goodies and some other surprises too. 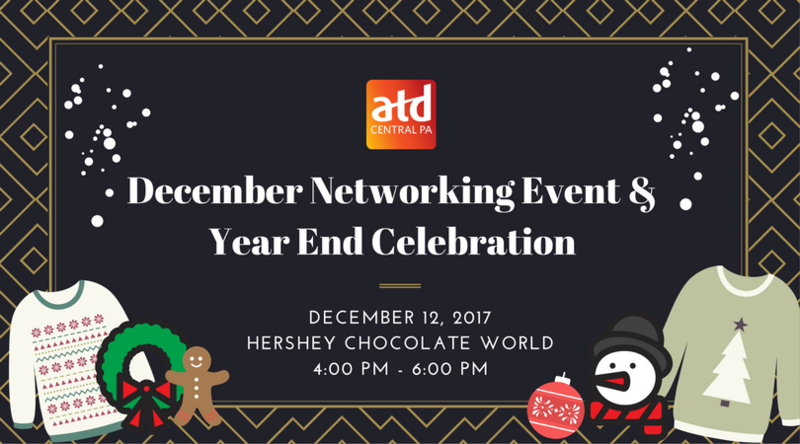 Come jingle and mingle with Central PA ATD!